Cover has some wear, corner bumps. Name inscription on first page. Clean inside pages. County map insert is missing. 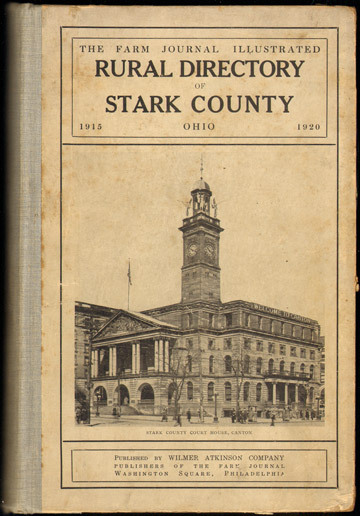 Loaded with thousands of names and addresses of persons in Stark County, Ohio in 1915. Includes numerous interesting ads throughout.